Born in Munich, Christina Landshamer studied at the city’s Academy of Music and Drama under Angelica Vogel, and subsequently in Konrad Richter’s recital class and Dunja Vejzović’s soloist class at the State University of Music and Performing Arts in Stuttgart. She is now a versatile and internationally highly sought-after concert, opera and recital singer. Her work with conductors such as Daniel Harding, Kent Nagano, Sir Roger Norrington, Stéphane Denève, Christian Thielemann and Ricardo Chailly has taken her to Europe’s most distinguished orchestras, including the Bavarian Radio Symphony Orchestra, the Munich Philharmonic, the SWR Symphony Orchestra, the Royal Concertgebouw Orchestra, Freiburg’s Baroque Orchestra, Zurich’s Tonhalle Orchestra and the Orchestre de Paris, and even to North America with the New York Philharmonic Orchestra, the Pittsburgh Philharmonic and the Montreal Symphony Orchestra. In 2016 Christina Landshamer made her American debut at the Lyric Opera of Chicago as Sophie in Der Rosenkavalier, and gave concerts in New York with the Ensemble Midtvest at Carnegie Hall’s Weill Recital Hall. Following this, she appeared twice with the New York Philharmonic under Alan Gilbert, in Handel’s Messiah and in Mahler’s Symphony No. 4, for the latter of which she accompanied the orchestra on a European tour to Essen, Budapest, Vienna, London, Hamburg and Copenhagen. Christina Landshamer has also been heard with the NDR Elbphilharmonie Orchestra conducted by Thomas Hengelbrock in Haydn’s Creation as part of the Elbphilharmonie’s opening festival, with the Konzerthausorchester Berlin in Mozart’s Requiem under Vladimir Jurowski, on tour with the Orchestre des Champs Elysées under Philippe Herreweghe in Beethoven’s Ninth Symphony, in Mendelssohn’s Lobgesang under Pablo Heras-Casado for her first appearance at the Accademia Nazionale di Santa Cecilia in Rome, and once again with the Leipzig Gewandhausorchester under Herbert Blomstedt in Bach’s Mass in B minor and in Haydn’s The Seasons, this time with Trevor Pinnock on the rostrum. 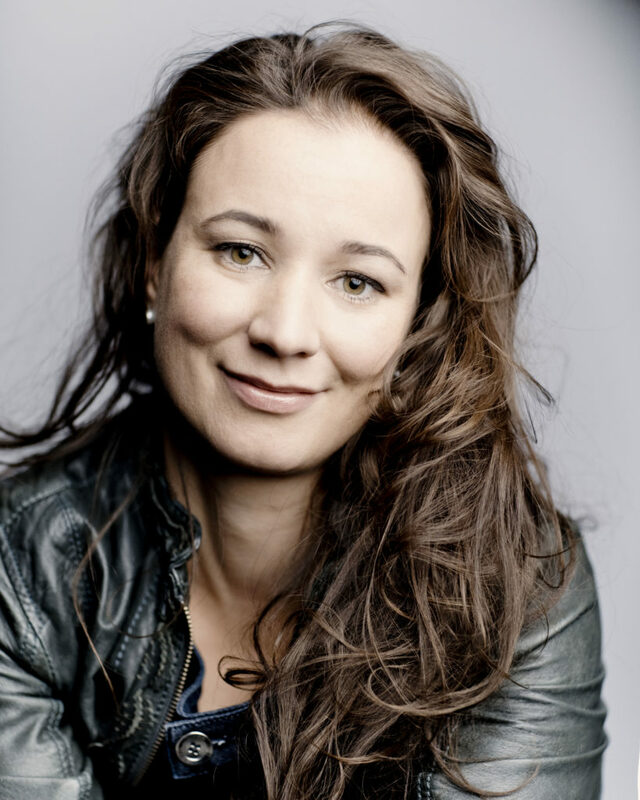 This season Christina Landshamer will return to the Bavarian State Opera performing Woglinde in Wagner’s „Das Rheingold“ under Kirill Petrenko. She will appear twice with the Symphonieorchester des Bayerischen Rundfunks: In February Mahler’s Symphony No. 4 under Daniele Gatti and in June Bach Cantatas under Giovanni Antonini. Bach’s St. Matthew Passion follows in March at the Concertgebouw in Amsterdam under Ton Koopmann. 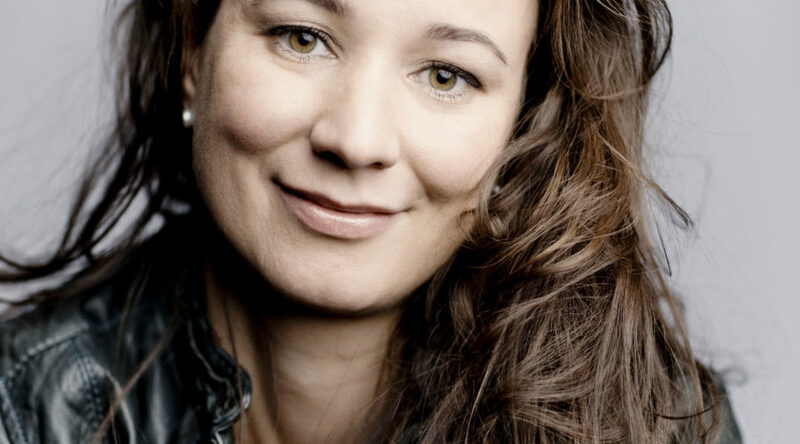 Together with Andrè Schuen she will perform Schumann’s Myrthen at the Schubertiade in Hohenems followed by a concert with the International Hugo Wolf Academy in Stuttgart. Christina Landshamer first sang in opera in Stuttgart, Strasbourg and Berlin (Komische Oper). At Vienna’s Theater an der Wien she sang the part of Clarice in Haydn’s Il mondo della luna under Nikolaus Harnoncourt, and the role of Frasquita in Carmen at the Salzburg Festival with the Berlin Philharmonic under Simon Rattle. Towards the end of 2012 she made her highly-acclaimed debut as Pamina in Simon McBurney‘s celebrated new production of Mozart’s The Magic Flute at the Amsterdam Opera under Marc Albrecht. In 2015 she starred under Christian Thielemann as Ännchen in the anniversary production of Weber’s Der Freischütz and alongside Anna Netrebko at Dresden’s New Year’s Concert. Christina Landshamer made her debut in Glyndebourne as Almirena in Rinaldo and in 2015 as Pamina at the Bavarian State Opera. After appearing in Der Rosenkavalier in Chicago, she can be heard as Susanna in a new production of Mozart’s Le nozze di Figaro at the Theater St Gallen in Switzerland. With her warm, lyrical voice, the soprano is an ideal recital singer. Her first CD, on which she is accompanied by Gerold Huber, appeared in summer 2016 on the Oehms Classic label where the duo combined unique songs from Robert Schumann and Viktor Ullmann. They can also be experienced live together in recitals in Freiburg, Regensburg, at the Schubertiade in Schwarzenberg, and at London’s Wigmore Hall. Christina Landshamer can already look back on an extensive discography; for example, Haydn’s oratorios The Seasons and The Creation under Philippe Herreweghe (PHI), Bizet’s Carmen under Simon Rattle (CD and DVD on EMI Classics), and Bach’s St Matthew Passion under Riccardo Chailly (Decca). Moreover, her musical versatility can also be enjoyed on various DVDs: in Haydn’s Il mondo della luna (Concentus musicus/Nikolaus Harnoncourt, Unitel Classica), in Bach’s St Matthew Passion and Mahler’s Symphony No. 4 (both Leipzig Gewandhausorchester /Riccardo Chailly, Accentus), and Mozart’s The Magic Flute (Nederlandse Opera – Opus Arte).